Dubai, United Arab Emirates: ENBD REIT (CEIC) Limited (“ENBD REIT”), the Nasdaq Dubai-listed Shari’a compliant real estate investment trust managed by Emirates NBD Asset Management, announces that it has acquired South View School in Dubai’s Remraam Community. 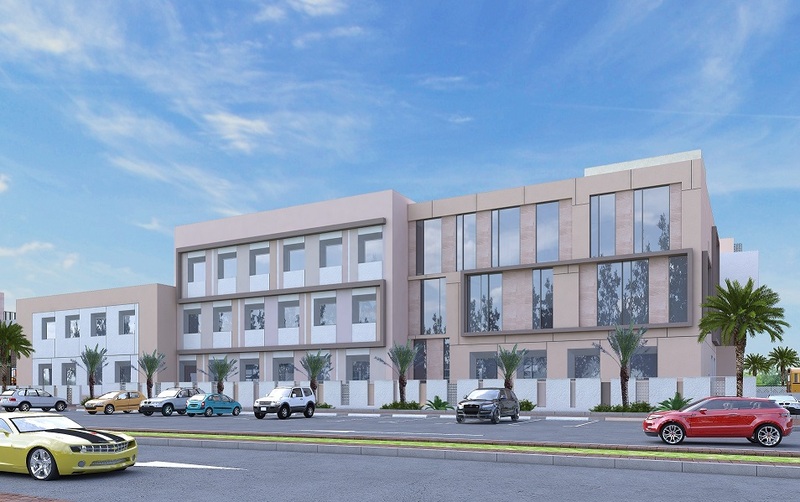 South View School will be Interstar Education’s fifth Dubai campus and its second British curriculum school, which is in line with the firm’s vision of developing high quality, affordable schools in Dubai. ENBD REIT signed a Musataha of the plot, and will construct the school at a total transaction value of AED 55 million (USD 15 million). The deal marks ENBD REIT’s first acquisition of an education asset, as part of its strategy for diversifying its property portfolio into alternative real estate. In May, the REIT acquired the Uninest Dubailand student accommodation building for AED 120 million (USD 33 million). South View School, once complete, will be operated by Interstar Education, part of Interstar Advisory Services, which currently runs the successful and well-established Victory Heights Primary School in Dubai Sports City. The total ground floor area of the school will be 132,000 sq. ft. on a plot covering 183,504 sq. ft. The total project of approximately AED 55 million will return an initial rental yield of 9% on project costs, with a fixed escalation of 4% every two years throughout the lease term of 9 years with further options to renew. The school pays additional rent during the construction period, equivalent to 5% on drawdown. South View School’s rental agreement is based on a FRI (fully repairing and insuring) triple net lease, with the tenant covering all OPEX, CAPEX, ground rent and associated property and community charges. The school will open to pupils, to whom it will teach the British curriculum, in September 2018, with works already underway on site. Following acquisition and completion of the development, the ENBD REIT property portfolio’s total value will be USD 367 million, with a net asset valuation (NAV) of USD 292 million, or USD 1.15 per share. Loan-to-value (LTV) ratio on gross asset value (GAV) is 29%, with occupancy of 87% across the portfolio. The portfolio’s weighted average unexpired lease term (WAULT) increases to 3.63 years, with offices accounting for 59% of the portfolio, residential accounting for 27% and alternative assets (including education) making up the remaining 13%. ENBD REIT has a total of 9 properties across Dubai. Since its establishment in 2000, Interstar Education has provided schooling to 15,000 children across five campuses in the UAE and India. The Group runs two Delhi Private Schools in the UAE, and first entered the British curriculum with Wonder Years Nursery in Dubai Sports City. It has since established Victory Heights Primary School, which has enjoyed considerable success. South View School will be Interstar’s fifth UAE campus. ENBD REIT is a leading Shari’a compliant Real Estate Investment Trust, invested in properties across Dubai’s office, residential and alternative real estate asset classes. In March 2017, the Company successfully raised USD 105 million when it listed on Nasdaq Dubai.